Welcome to Skyhigh Costa Rica! Open your wings and leave the rest below! Paragliding Round Trip – for example in December 2019! What is it all about? 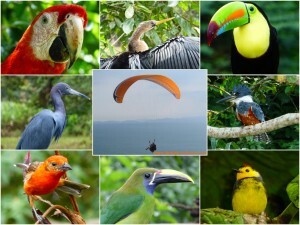 … Quite simply it is about combining two passions: Paragliding with travelling Costa Rica! 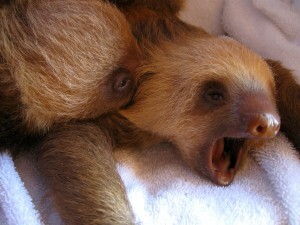 I have been living and working in Costa Rica for many years. My job as a tour guide has allowed me to travel up and down and all around this wonderful country. And then, of course, I am an enthusiastic paragliding pilot! 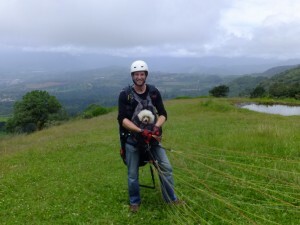 The next step was only logical and I now offer paragliding tours in Costa Rica! We will go on a paragliding round-trip through Costa Rica that will introduce you to the sights and sceneries from lofty heights. The itinerary includes different take-off sites as well as the country’s natural highlights. And despite the ride through the clouds, there is always enough time dedicated to meeting the locals, both pilots and ground dwellers, as well as visiting the beaches and national parks. Need a break? Book a tailored Costa Rica holiday! 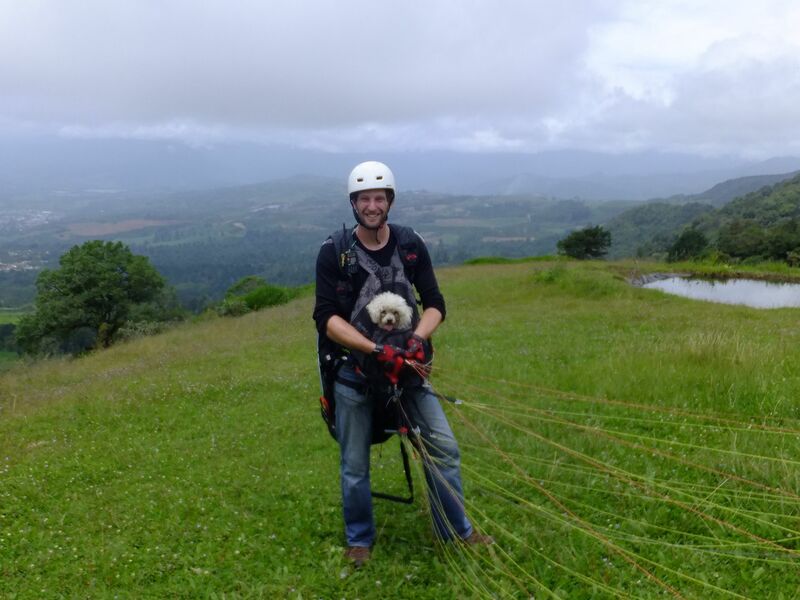 The Costa Rica paragliding trips are designed for experienced pilots, however, those that do not fly may also look forward to a diverse and entertaining trip to some of the country’s most enchanting destinations. Let it be mentioned that, apart from the standard round-trip, I also offer tailored paragliding tours through Costa Rica. And, just in case you like the view of your feet firmly planted on the ground, it will also be a pleasure to design a tailored, zero-altitude round-trip. The tailored trips work on the simple principle that we get in touch and plan something from scratch – with or without flying. Our 4×4 Offroad Adventures introduce you to Costa Rica’s wild side. Get off the beaten path and discover the back roads and remote nooks and crannies. Well… I hope to hear from you and till then: Good flights and safe landings always!